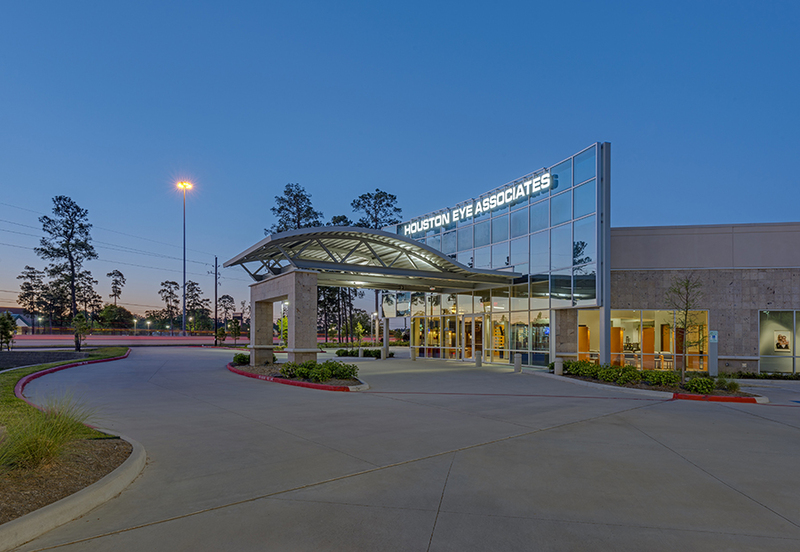 Browne McGregor Architects provided full architectural and engineering services for a new, approximately 14,000 s.f. 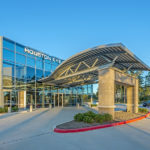 multi-tenant medical office building in Kingwood, TX. 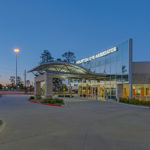 The building is designed as concrete tilt wall construction with stone veneer and aluminum and glass storefront widows. 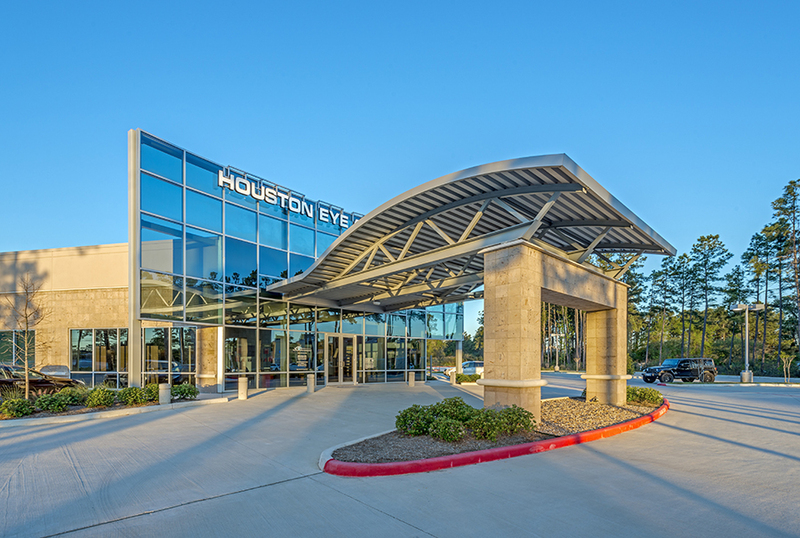 The north end of the building features an expressive glass curtain wall and aluminum drop-off canopy at its main entrance. Interior improvements, also designed by BMA, include an 8,125 s.f. 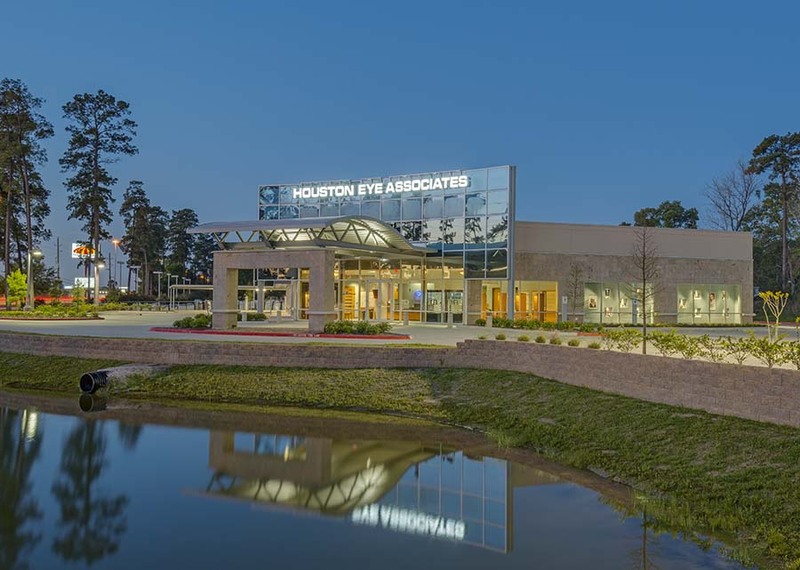 clinic for Houston Eye Associates, providing doctors’ offices, clinic space, optical retail and Lasik procedure areas for the primary tenant in the building, with the remaining shell space available for multiple healthcare or retail tenants.